Miyajima is the most popular sightseeing place in hiroshima. Red shrine and blue sky contrast is very beautiful. Around here, the first atomic bomb used in the history of mankind. 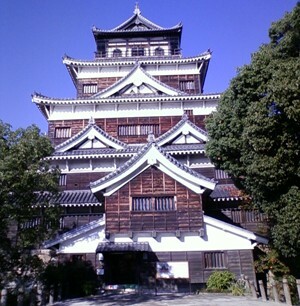 This is a historical building.Since 1589.The castle keep was rebuilt in 1958. There is a museum,introducing Hiroshima's history.